From our Houston office, Martin focuses on construction defect liability coverage, professional liability coverage, property insurance coverage, bad faith claims litigation, intellectual property, litigation, and corporate and commercial law. Martin was born in Salt Lake City, Utah. He earned his undergraduate degree in Speech Communication with an Argumentation and Decision Making emphasis from the University of Utah in 1980. He earned an M.A. in Communication Studies from Baylor University in 1982 and continued post-graduate studies at the University of Kansas through 1985. Martin was a Leon Jaworski Scholar at Baylor University School of Law, where he earned his law degree in 1993. While in law school, Martin was a member of the Baylor University national mock trial team and earned Order of Barrister in the law school’s Harvey M. Ritchie Moot Court Competition. He also earned a transcript designation for emphasis in Civil Litigation upon graduation from Baylor. Martin is a member of the Houston, Texas and American Bar Associations. He is admitted to practice law in all Texas State Courts; the United States Fifth Circuit Court of Appeals; and the Southern, Eastern, Northern, and Western United States District Courts in Texas. 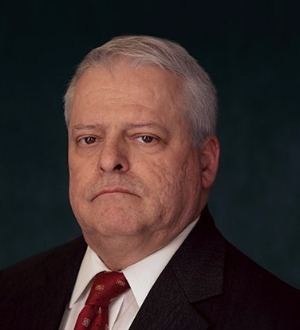 He has been admitted pro hac vice to represent clients in a large number of cases in the Eastern United States District Court for Louisiana and in the Louisiana Civil District Courts. Martin currently manages an extensive practice in insurance litigation, defending first-party, extra-contractual, and bad faith claims for cases pending in the state and federal courts throughout southeast Texas and in Louisiana. His cases include a substantial emphasis in representing carriers in commercial and homeowner first-party hurricane loss insurance claims. Martin has also earned his certificate for completion of the A. A. White Dispute Resolution Center 40 Hour Basic Mediation Training Course and he is available as a mediator for most types of civil litigation matters. In this regard, he volunteers his mediation services for the Harris County Dispute Resolution Center. Martin’s litigation experience includes first-chair and second-chair jury trials, arbitrations, default judgments and mediations. In motion practice, he has successfully pursued summary judgments and defended against them. He has successfully challenged and excluded experts, and in one instance he briefed a successful Havner challenge to an expert’s methodology, overturning a jury verdict in excess of $900,000 in a product liability case by judgment notwithstanding the verdict. He also briefed the expert issues for the successful defense of that JNOV on appeal. Named in The Legal 500 U.S. for Litigation in the category of "Insurance and Reinsurance: Natural Disasters"